Look at the vibrant dial on this large 38mm. 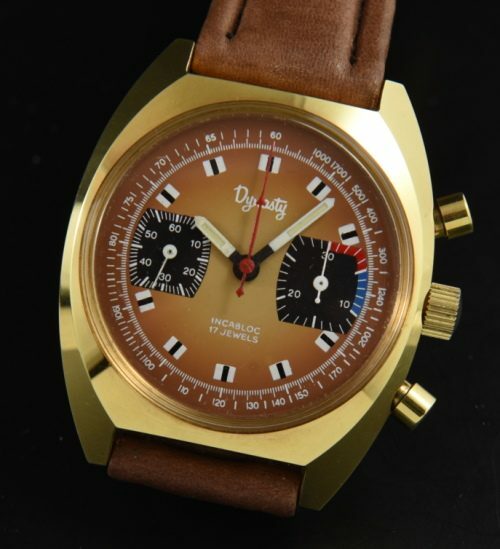 gold plated (essentially new old stock looking) vintage DYNASTY chronograph. These bronze, red, blue and black colours are reminiscent to the 70’s colour palette. The case with steel back is pristine, as is the original dial and baton hands. The manual winding VALJOUX movement was just cleaned and is accurate. You have to love this vintage 70’s watch!